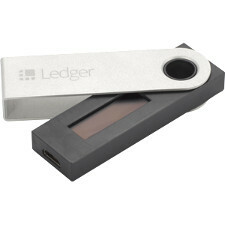 In 2012, a company named Satoshi Labs developed and created the TREZOR Hardware Wallet making them the first in the world to take a Bitcoin hardware wallet to market. Today the TREZOR is one of the most popular wallets for sending, receiving and storing Bitcoin, and it even supports many other cryptocurrencies beyond just BTC. It is capable of securely handling Bitcoin transactions and storage through its proprietary encryption software. The TREZOR is a physical piece of hardware built for the sole purpose of ensuring completely secure digital transactions for all of the cryptocurrencies it supports. Each TREZOR device accomplishes this by first securely storing your wallet’s private keys using encrypted software. Secondly, it will require you to enter a randomly generated, unique PIN number each time you login to your account or send a transaction. In this way, the “password” (PIN) on your account will never be the same as the one used before. 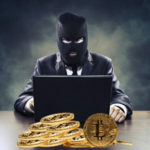 This means that even if your computer is hacked or your TREZOR is stolen, no one will be able to access the cryptocurrency stored in your account. Even if the aforementioned scenario does happen, you can simply order another TREZOR and recover your funds through a simple, easy to follow process. The TREZOR started out as a simple Bitcoin hardware wallet, but since 2012 Satoshi Labs has successfully integrated several additional cryptocurrencies. Today, the TREZOR wallet supports a total of 13 different cryptocurrencies as well as Bitcoin Testnet and all available ERC-20 Tokens. In our minds, this goes to show that Satoshi Labs is capable of scaling their company and its most popular products with the rapidly changing cryptocurrency environment. Both the TREZOR Hardware Wallet and the web-based interface it utilizes are user-friendly. Satoshi Labs even states on their website that one of their primary goals with the TREZOR wallet is to help with the mass-adoption of Bitcoin by ensuring it is easy to use, with an intuitive user experience. Even people who are unfamiliar with the technical aspects of cryptocurrency security can still safely use Bitcoin and other crypto coins with a TREZOR. As the first hardware wallet to market, the TREZOR team has had plenty of time to improve the original software and user-interface. Their team is continually upgrading their software and the user experience, making the TREZOR one of the best hardware wallets on the market today. The TREZOR is manufactured in the Czech Republic, but it’s available to crypto users worldwide and is offered in grey, white or black. You can purchase the TREZOR directly through their eCommerce website at shop.trezor.io or on Amazon. There are some other companies offering TREZORs for sale, but these are currently your best options. On the shop.trezor.io website, the wallet is available for between €89-€109 with the option to add expedited 3-day shipping for €22. They accept VISA, MasterCard and of course, Bitcoin. On Amazon, they are a bit more expensive and can be found from $149 USD to $209 USD. Historically, TREZOR has experienced periods with huge spikes in demand, which has delayed shipping in the past. However, they have always done a great job of keeping their stock updated so just make sure you check the estimated shipping time before ordering. Using the TREZOR wallet is extremely easy, and does not require a high degree of technical knowledge. We have broken down how to set up and use a new the TREZOR into a few short steps to help you get started. The TREZOR is available on their website as well as third-party sites like Amazon. Connect TREZOR to your computer via the USB drive. Then go to MyTrezor.com and either install the browser plugin or download the TREZOR Bridge. Enter the PIN that is displayed on the hardware device screen onto the pop-up keypad in your browser. To do this, start by clicking the button that is in the corresponding position as “1” on your TREZOR device. Then proceed to click the buttons for the rest of the numbers and click enter. Your browser will randomly generate 24 consecutive words or phrases, known as your recovery seed. The recovery seed will ensure that you are able to recover your digital currency if the TREZOR ever breaks or is stolen. Make sure you write down your recovery seed (in order) on the card included in the packaging. Once you have set up your TREZOR, you can now securely store, send and receive BTC or other cryptocurrencies. The TREZOR has a number of features built in that make it convenient and simple to use for everyone. You can do things that basic web-based wallets simply cannot, like set custom TX fees to lower your cost for outgoing transactions or increase the TX fee for faster confirmation times on the blockchain. When sending Bitcoin, you are also able to input a USD or other fiat currency value and the TREZOR software calculates the BTC value in real-time. This is just one small feature of the TREZOR interface, but it is helping bridge the gap between traditional paper, fiat money and cryptocurrency. After you have completely set up your TREZOR, it is easy to start securely sending and receiving Bitcoin with it. Connect the TREZOR to your computer via the USB port and open the wallet interface, which is accessible at wallet.trezor.io. The interface can be accessed via all major internet browsers. Once the page has loaded, it will then prompt you to enter your PIN that is displayed on your TREZOR device’s screen onto the keypad. 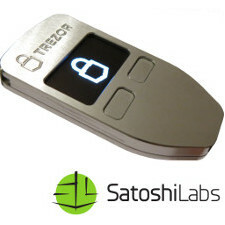 Satoshi Labs has made sending cryptocurrencies from the TREZOR as straightforward and intuitive as possible. To initiate an outgoing Bitcoin transaction, simply click the “send” tab located in the top navigation of the user-interface. There will be several fields where you can enter the receiving address that the funds are being sent to, the amount of cryptocurrency you are sending (in crypto or USD), and the TX fee. As we mentioned earlier, you can manually set your TX fee to be high, normal, economy, low or even set a custom fee. Receiving Bitcoin or any other cryptocurrencies that TREZOR supports is even easier than sending. For this, just go to the “receive” tab in the top navigation and click “show address.” The TREZOR will make you copy the 9-digit pin before showing the full address for security purposes. After you enter the pin and confirm the receiving address is correct, copy your address and use it to receive cryptocurrency instantly. Because the TREZOR securely stores your private key, you can generate new addresses with one click via the “More addresses” button. On the “transactions” tab (which is also the homepage of the TREZOR interface), you can see all of your past transactions. This includes important information that includes information like the TX ID, BTC amount and the receiving address of each transaction. Satoshi Labs is a company located in the Czech Republic that focuses on creating innovative products and services related to Bitcoin and other cryptocurrencies. Their most popular achievements include bringing the first ever hardware wallet (TREZOR) to market, developing a worldwide, local map of merchants who accept Bitcoin payments (CoinMap and CoinMap 2.0) and creating the first Bitcoin mining pool (Slush Pool).